The Eastern Economic Corridor (EEC) is the great hope for Thailand to leap aboard the Industry 4.0 evolution, breaking it free from the middle income trap and propelling it to upper-middle-income status. 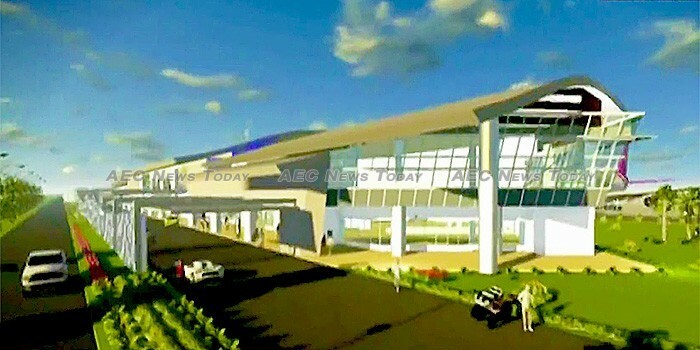 At the heart of the US$45 billion project is the former American war with Vietnam era B52 bomber base in Ban Chang District of Rayong Province, U-Tapao International Airport. A joint civil–military public airport, U-Tapao International Airport is key to Thailand’s goal of becoming the most significant aerospace hub in Asean, and to helping take the strain off Bangkok’s two existing international airports, Don Mueang International Airport, and Suvarnabhumi Airport. In the this special report NBT News Today takes an in-depth look at the development being undertaken and planned at U-Tapao International Airport, and its key role in the the success of the EEC and Thailand 4.0 strategy. Director of the U-Tapao Airport Authority, Rear Admiral Luechai Sri-Eamgool tells News Today that over 240 million overseas visitors are projected to be arriving in Thailand annually by 2022, a 9.5 per cent yearly increase. U-Tapao International Airport will be key in helping ease congestion on both Bangkok airports. Additionally, he says, U-Tapao International Airport will provide an alternate gateway for flights to neighbouring countries such as Myanmar, Laos, Cambodia, Vietnam, Malaysia, and Singapore, with the expansion plans designed to first provide for 15 million passengers a year (about 41,095 passengers a day), with additional expansion taking capacity up to 260 million passengers annually. With a total area of some 1,618 hectares (4,000 acres), U-Tapao International Airport will also be at the heart of Thailand’s push to become the major aerospace hub in Asean. The EEC Aeropolis plan sees the area surrounding U-Tapao International Airport grow into a giant aerospace-focused city comprising free trade, logistics, and aerospace industry commercial and industrial facilities, such as an airline MRO (Maintenance, Repair and Overhaul) Centre. Complementing this will be modern motorways and two deep sea ports. In addition, an R&D centre and aviation training centre for skilled technicians and engineers is also planned.